The premise of this Saturday Night Live sketch that was cut for time isn’t so much that lead actors of supernatural dramas on the CW are oblivious and self centered—well, it’s not just that. It’s also serves as an important reminder that weather and climate aren’t the same thing. 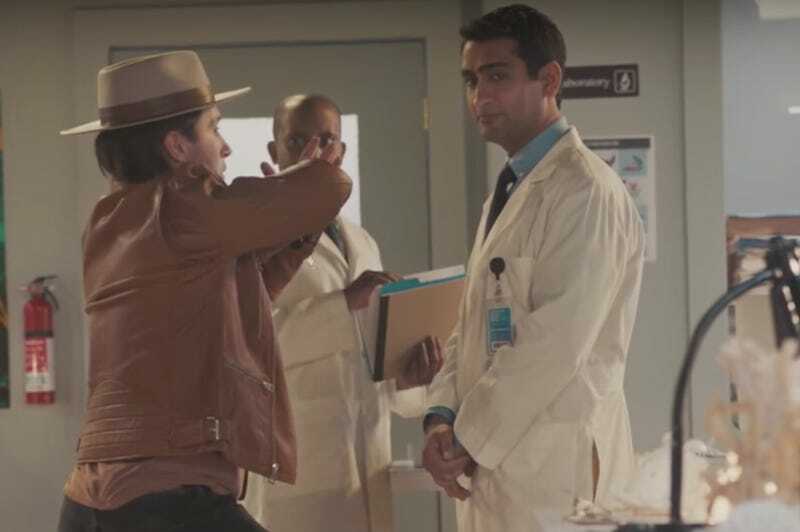 Kumail Nanjiani, who hosted last week, plays Dr. Robert Khan, a climate scientist—and “one of the highest-grossing doctors in the climate world,” so he must make bank—who’s misidentified as a “meteorologist” by Blake Vilanti (Beck Bennett), said CW actor. He initially thinks he might actually have been invited on Fixing Earth With Blake Vilanti to talk climate change, but he spends most of the time teaching Vilanti/Bennett basic science facts. Nanjiani patiently plays tutor for the first half, but finally snaps when Vilanti continues to push his “fish are drowning” theory. Self-obsessed stars frequently pop up in SNL sketches, and while this bit deservedly didn’t make the cut, Nanjiani’s double take at being asked to define “ocean” is pretty great.